Spirits were soaring. 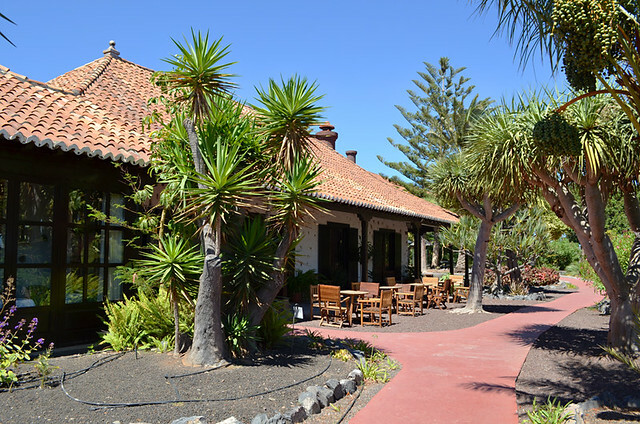 We’d walked a new route into La Gomera’s capital, San Sebastián, which had been challenging and highly rewarding with its mix of ascents and descents, ridge walks, unusual rock formations, surprising plateaus when we expected to be faced by narrow ledges, and a pay-off-stop-you-in-your-tracks view. 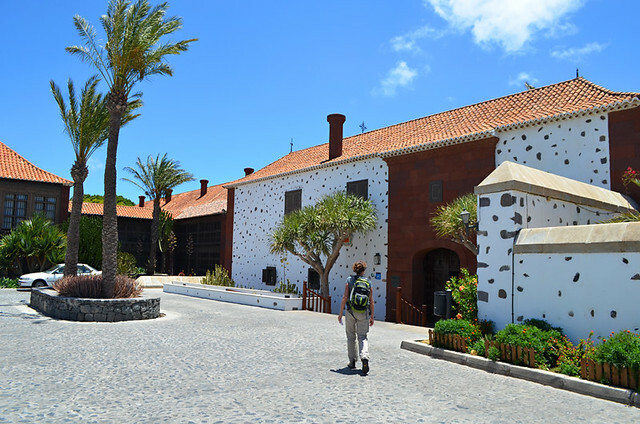 We strode to the reception of the Parador de la Gomera on happy feet… and were greeted with a welcome which was indifferent at best. I don’t want someone to fawn over me insincerely when I book into a hotel, but I do expect a welcome that is friendly. This one burst our happy bubble. We were escorted to our room at the furthermost part of the hotel by a porter who didn’t offer to carry a bag. I usually behave like Matthew Crawley when he first had to deal with having a valet in Downton Abbey when anyone offers to carry my bags. I like to carry my own. But it’s not great service when a porter doesn’t even bother offering. 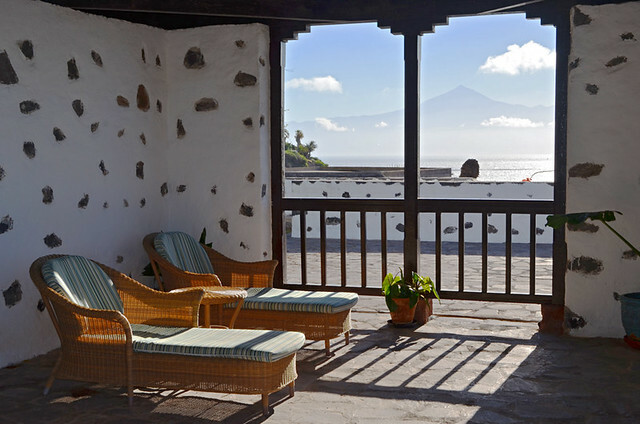 La Gomera’s Parador sits in a stunning location. It’s a lovely building with the sort of grounds that are ideal for wandering aimlessly. These factors earn it rave reviews, but they also cover up cracks. 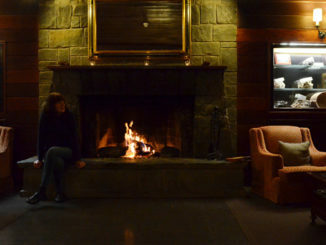 Still, we quickly got over the (lack of) welcome and relaxed into staying at the Parador after a tough few days. We hadn’t eaten dinner there before and were looking forward to being able to wander from bedroom to dining room rather than make the journey into the town way below. 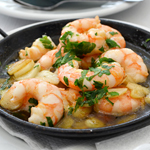 Dinner in the Parador is pricey, so we were expecting good things. Alarm bells starting ringing with the first course. €13.50 for a plate of croquettes is at least twice what you’ll pay in traditional restaurants. A handful of crisps in the centre hardly made up for the difference. 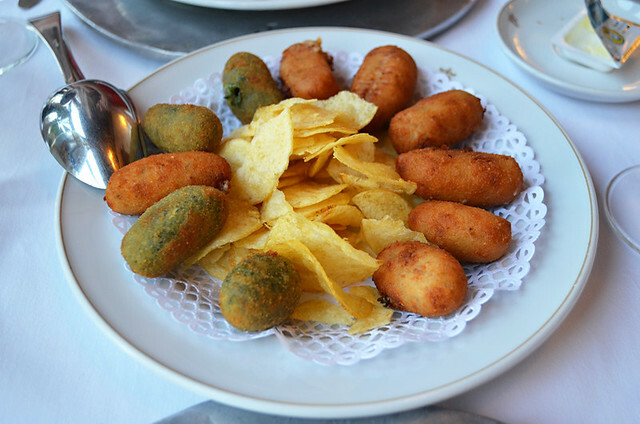 We’d had some excellent croquettes at a third of the price in the Mirador de Abrante a few days earlier, so the ordinariness of these ones stood out. They weren’t bad croquettes, they just weren’t €13.50 croquettes. The main course, however, was where the real problem lay. The dishes looked decent enough, but the sauce that covered my ternera (beef from a young animal rather than veal) also covered the fact that the fillets were mostly fat. They were the chewiest pieces of meat I’ve tried to eat in a long, long time. Simply not good quality. The problem is by the time you realise this, the meal is ruined. Waiting for a replacement doesn’t solve it as you want to be eating at the same time as your partner. Basically, it’s a bust. Shortly after starting chewing I told the head waiter the meat wasn’t good quality. He apologised and said he’d tell the chef. He at least discounted the bill without being asked. Or we thought he had discounted it. A few minutes after I signed the ‘discounted’ bill he returned with another, this time for the full amount. To add insult to injury, the discount had been a mistake. To be sure our feelings about the quality of the meal were known, we also completed a customer service feedback form, including our email address, which was handed directly into the reception. We have never even received an acknowledgement. In the end, it’s just not good enough customer service. It was a disappointing stay. 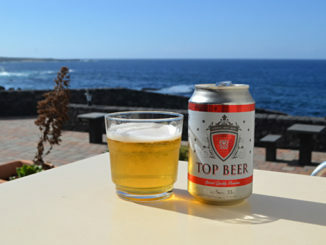 Had it been our last night on La Gomera we’d have felt cheated after a challenging week’s walking. Luckily we had one more night ahead at the Hotel Jardin Tecina in Playa Santiago. 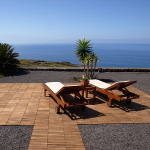 The frustrating thing about the Parador is it should be a wonderful place to stay and, in many ways, it is. But, like the last time we stayed, there are niggles that should be dealt with. The problem is they aren’t dealt with, presumably because the Parador continues to get rave reviews on the likes of Tripadvisor. So are we out of step? 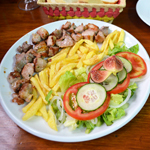 A recent review about a dining experience may explain where the problem partly lies: The reviewer commented “my steak was tough and fatty. Perhaps, it was less the fault of the chef and more the fault of the butcher. 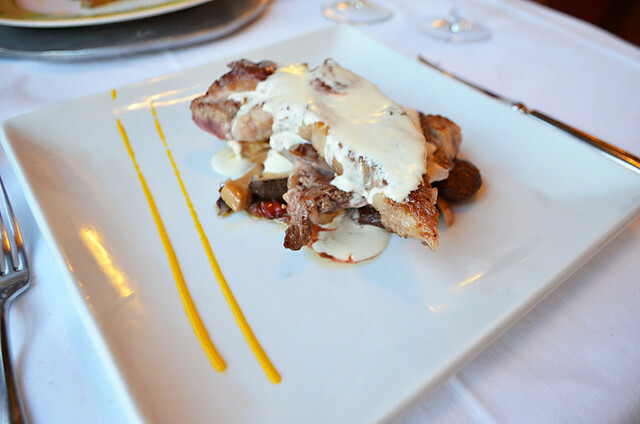 . . or the quality of beef in Spain.” But they still awarded the Parador a maximum five stars. Why change what apparently isn’t broken?